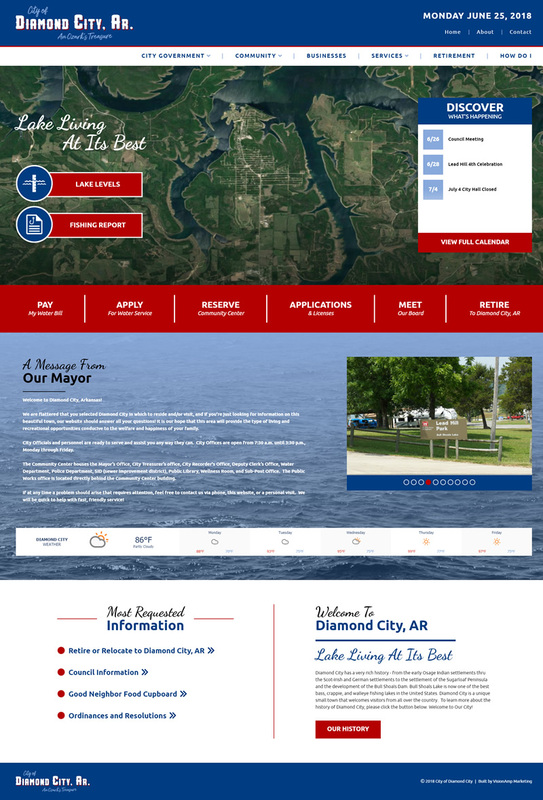 We worked with city officials from Diamond City, Arkansas, to design a full-service, mobile-friendly, and responsive website. The new website instantly grabs the attention of visitors with a bold red, white, and blue color scheme. This website is packed with information about the city, the community center, city programs, and much more. Menu navigation and call-to-action buttons make it easy to find information, apply for water service, and even pay your water bill online. 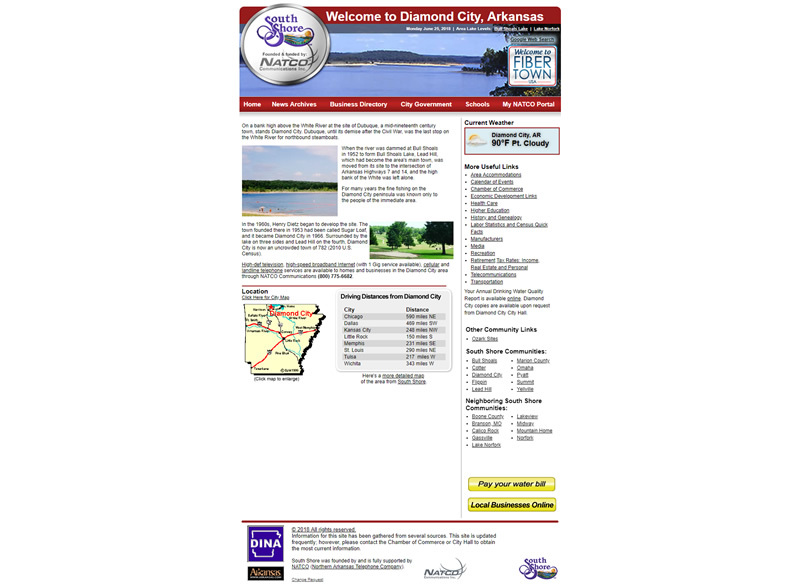 Diamond City, Arkansas, is located in Boone County near Bull Shoals Lake. The small town is home to less than 1,000 residents and known for its fishing and lakeside living.